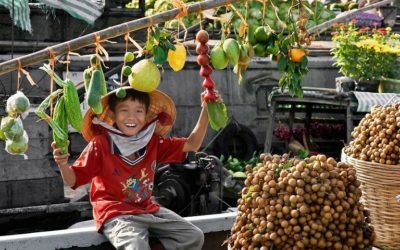 Our Classic tours of Vietnam are a good place to start if you are new to the country, and we have several templates designed to include the most renowned of Vietnam’s locations, all of which can be infinitely adapted to your personal style and filled with your own activity preferences. 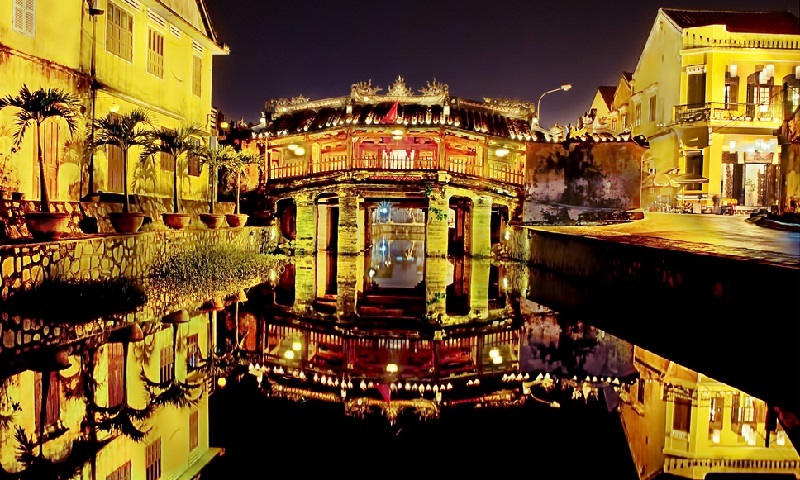 Because of Vietnam’s elongated topography, and the distances involved, visitors wishing to sample the key highlights of the whole country are recommended to visit for at least two weeks, while, if time is more restricted, it is undoubtedly more effective to concentrate on attractions in the north, centre or south, enabling you to make the most of your visit. 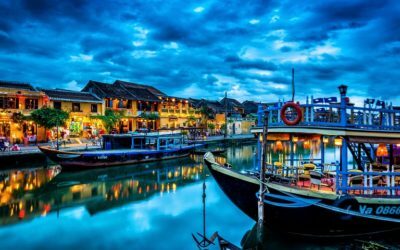 For visits of two weeks or more, a good place to start is a holiday based around your preferences on our VIETNAM SONATA (14 DAYS) template, which takes in a comprehensive overview of the capital Hanoi, a cruise of unmissable Ha Long Bay, Imperial Hue and the Perfume River, charming Hoi An, Vietnam’s southern metropolis of Ho Chi Minh City (Saigon) and the Mekong Delta. 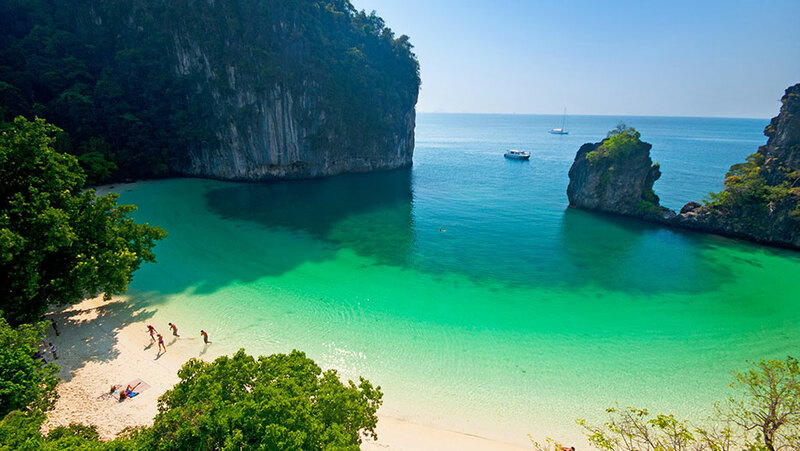 Importantly, in addition to all the numerous other variations in destinations and activities you can freely apply to this pattern, this tour shape can be reversed and certainly, where international flights are concerned, the quoted prices of various carriers may be more cost effective in one direction rather than the other. 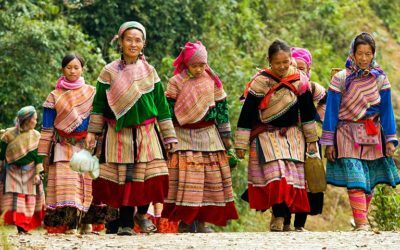 The same may also be true if visiting central Vietnam, where entry at Hanoi or Saigon may yield differing flight costs. For visitors wishing to concentrate on the north of the country, the rice paddies and ethnic groups of the Sapa area are the most popular additions to Hanoi and Ha long bay as in our NORTHERN OVERTURE (7 DAYS), though this area of the country has many more attractions that could be included, such as the wildlife or adventure opportunities of the northern National Parks. 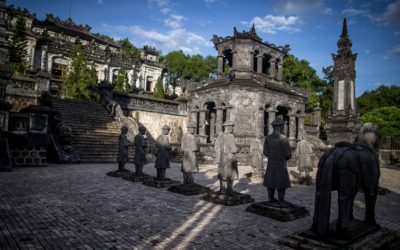 Our CENTRAL VIETNAM OVERTURE (8 DAYS) highlights the central treasures of Hue and Hoi An in more depth and is additionally augmented with visits to the historic ruins of My Son, Bach Ma National Park and the Demilitarised zone. With the option to stay at Hoi An’s Cua Dai beach, or other central coast beach resorts, this can be a very relaxing way to experience Vietnam’s cultural legacy. The SOUTHERN OVERTURE (7 DAYS) more fully explores Ho Chi Minh City and the Mekong delta area, with a visit to the infamous Cu Chi Tunnels and free time to relax and enjoy the beach at Phu Quoc island in the Gulf of Thailand, while our Mekong Delta Classic templates explore the Mekong river all the way to the Cambodian border, and indeed can be extended beyond the border to Phnom Penh or Angkor. 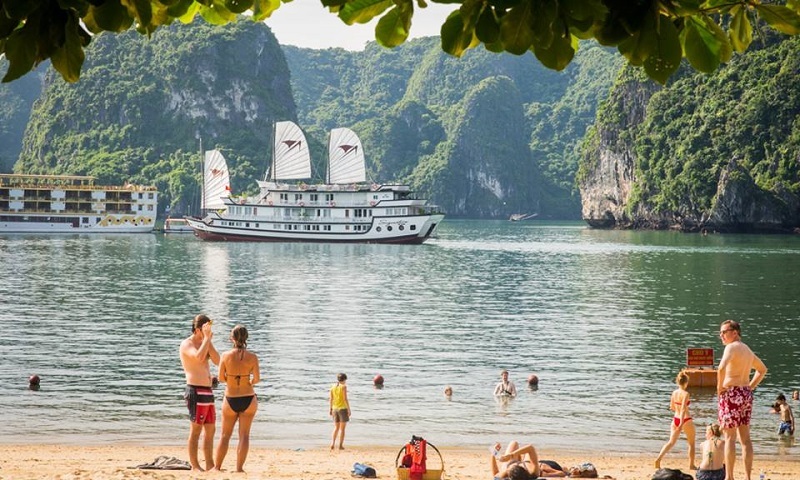 An alternative short template concentrating on the north and south, bypassing the central locations is proposed by our PRIVATE OVERNIGHT CRUISES (10 DAYS), which focuses upon Ha Long Bay and the Mekong Delta. 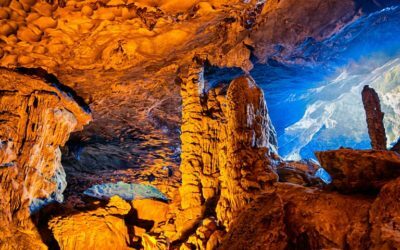 Given more time, any combination of the above can be arranged and destinations such as Nha Trang, Mui Ne or indeed any areas of specialist interest included in addition or as alternatives. 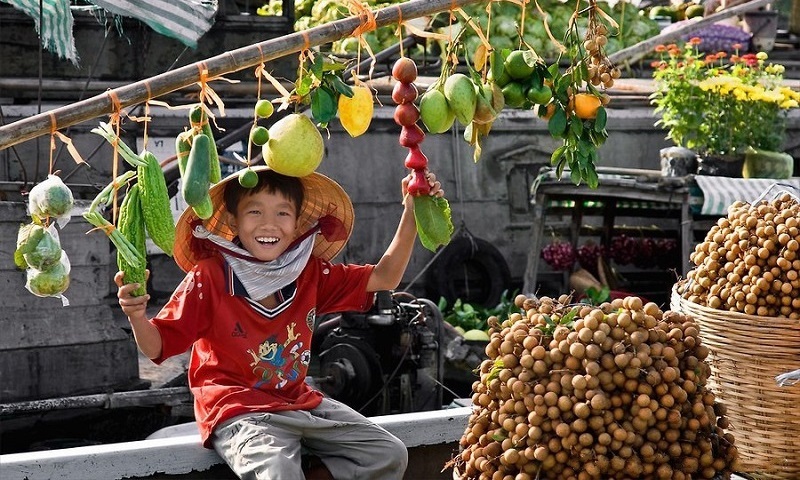 For example, many of our visitors like to include deeper encounters with local people by staying as the guests of local families and engaging in community activities such as fishing and agriculture to get an authentic insight into their daily lives, such as featured in our LIVE FOR REAL (10 Days) tour. For those with ambitions beyond a two week holiday, these and many other templates to be found in our other categories such as trekking, golfing, cycling, honeymoon etc. can also form the basis of multi country trips with neighbouring Laos and/or Cambodia and also offer additional flexibility in potential entry and departure points. Haven’t found what you’re looking for? 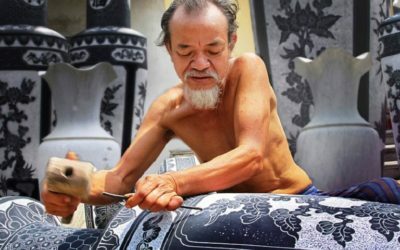 Let our destination experts customise a unique travel package in Vietnam for you!